Private meeting room with audio/visual equipment for presentations or perhaps gather in CJ’s Bar & Grill for a more informal setting. 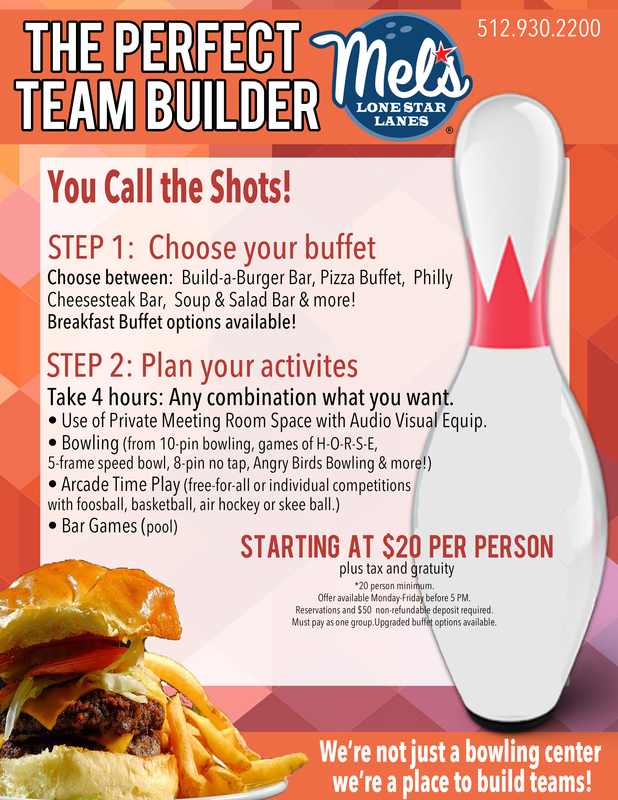 Play Therapy (Team building) featuring interactive bowling games, shuffleboard, billiards and arcade. Breakfast, lunch or dinner served buffet style or plated individually. CJ’s Catering can meet the needs of your company. Mel’s has a professional team who will help you plan and hold your next corporate meeting. Start planning your event here! *The perfect team builder is available Monday – Friday before 5 PM only. In December, it excludes Fridays. Please contact the events department for Christmas party packages. 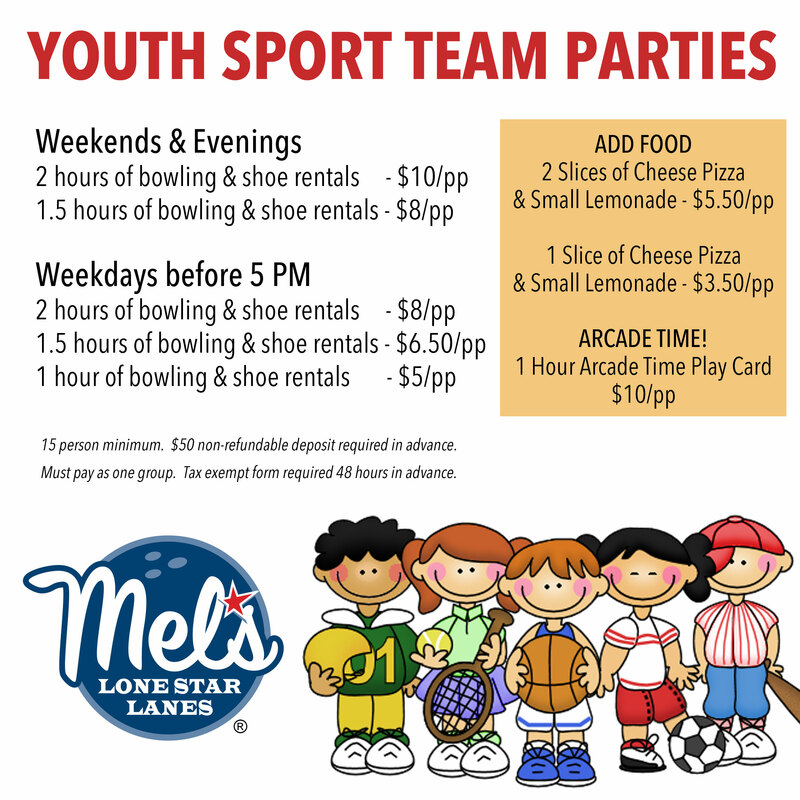 Hold your next event at Mel’s Lone Star Lanes! We can accommodate all groups – large or small! 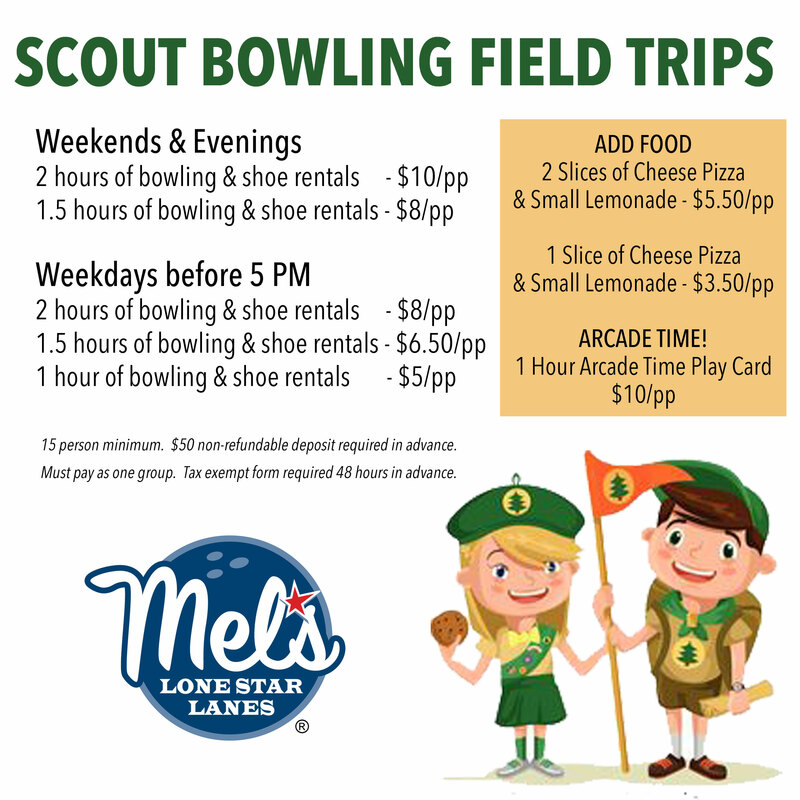 Day Care Center, School Field Trips, Project Graduation, Church Groups, Scout Troops, “Behind The Scenes” tour, Corporate Parties,Team Building Events, Wedding Receptions, Rehersal Dinners, Bachelor & Bachelorette Parties, Retirement Parties, Holiday Parties, Lock-ins, Fundraisers, Family Reunions. Click group button below to view rate options. Reservations & deposit required.